This is people power. In a really imaginative way. Not confrontational. But determined. We don’t have them in Germany. 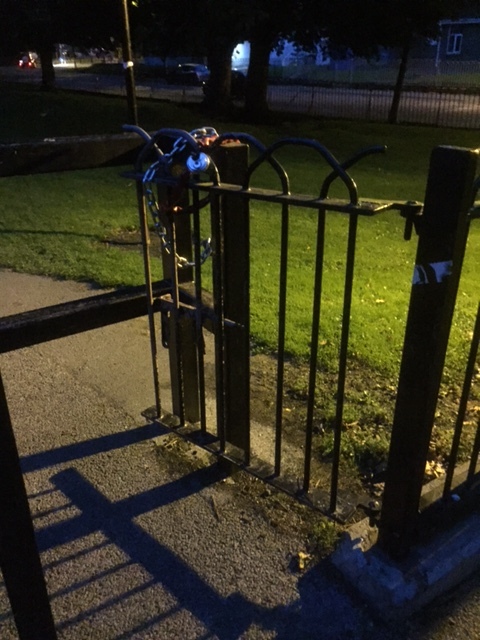 But in Ireland, there are parks that are locked at night. So, what do you do if you want to go for a walk in the park after sunset? Do you break the lock? Do you cut the chain? The approach of the people who kept the gates open, rather than opening the closed gates, doesn’t get out of my head. Because it’s exactly what we need to do with rehabilitation, therapy, integration, participation and all those things that sABI survivors need. Rather than trying to reverse what the ‘system’ is not doing by trying to cut through their red tape and chains, we just need to put up our own tape and chains and keep the gate open for what our loved ones need. Keep it coming. Never allow any gates, any access to be closed.